About two years ago, a new owner took over the Pier Sixty-Six Hotel & Marina. Tavistock Development Co. paid about $163 million for the 53-year-old example of mid-century-modern architecture with a cylindrical tower topped by a halo of spires. Less than a year after Tavistock bought the hotel and marina, the venerable property took a big hit from Hurricane Irma. All 150 guest rooms in the tower are still closed. But the company’s longer-term plan to renovate and redevelop Pier Sixty-Six appears on track. The new owner of the Pier Sixty-Six Hotel & Marina at 2301 SE 17th St. also has acquired the Sails Marina property across the street and plans to develop both as a single 32-acre property with hundreds of new residential units. Fort Lauderdale city commissioners in July approved an agreement with Tavistock for a development project that would renovate the hotel, add 575 residential units and create a pedestrian-friendly link with the Sails Marina. The development agreement requires Tavistock to submit site plans by January. “Our number one priority is to get that hotel in operation and up to date. In the tower, we’ve got a lot of rooms sitting there empty,” says Tavistock senior director Jessi Blakley. 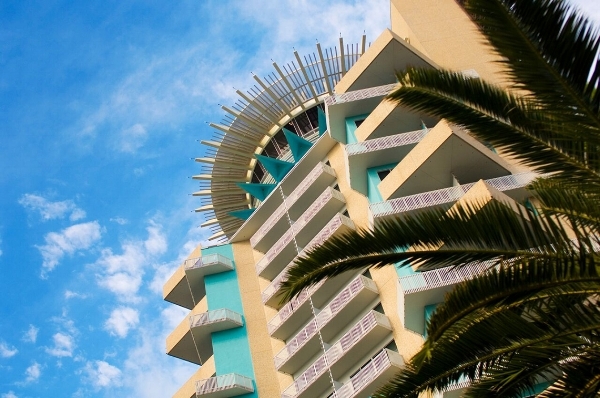 Pier Sixty-Six has a total of 384 guest rooms, including 234 more in a cluster of low-rise buildings that remain open and 150 in the tower that have been closed since Hurricane Irma in September 2017. “Those 150 rooms have not reopened, and we do not plan to reopen them until we have our larger development plan in place,” Blakley says. Read the full Fort Lauderdale Magazine article HERE.